Good news everybody – the International Space Station won’t be sunk into the ocean in 2020! In case you don’t know what I’m taking about, in a previous article, we were telling you about the plans to sink the International Space Station in the ocean, in 2020. However, the ISS will be on at least until 2014. The news comes as over 30 heads of space agencies from around the world prepare to gather in Washington January 9-10 for an unprecedented summit on the future of space exploration. Most engineers believe that the ISS could function without any risks until 2028, but this belief is not unanimous. NASA announced they are happy and optimistic regarding the collaboration with other agencies. Bill Gerstenmaier, the associate administrator at Nasa with responsibility for the station added that even if some partners will decide to back up, this extension is still feasible – though he believes that will not happen. The extension of operations will allow NASA and its partners to run a series of very important research activities, including the planned human mission to an asteroid by 2025 and to Mars in the 2030s. NASA estimates that research on ISS is necessary to mitigate fully 21 of the 32 human-health risks anticipated on long-duration missions. Another important research program is represented by the testing of the technologies and spacecraft systems necessary for humans to safely and productively operate in deep space. This extension will allow these studies to reach fruition. Furthermore, this extension will also allow NASA and its private-sector partners time to more fully transition to the commercial space industry the transportation of cargo and crew to low-Earth-orbit, allowing NASA to focus on more bold projects, focused on deep space. 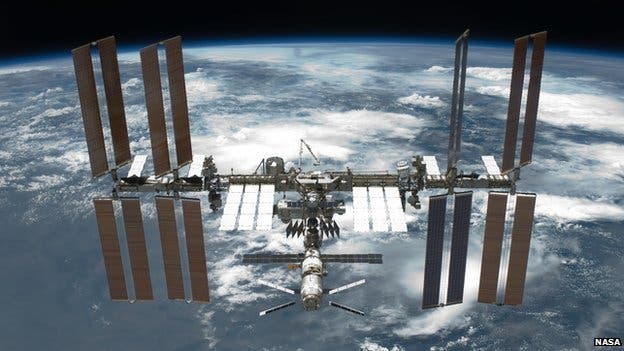 Construction of the ISS began in 1998 and is a joint venture between the US, Russia, Canada, Japan, and states in the European Space Agency (ESA). The ISS is a unique facility that offers enormous scientific and societal benefits. The Obama Administration’s decision to allow it to continue its very valuable experiments for 4 more years (and the possibility to go even beyond that) will allow us to maximize its potential, deliver critical benefits to the US and the entire planet, and will pave the way for future deep space exploration.